Hiiii & Happy Sunday!! 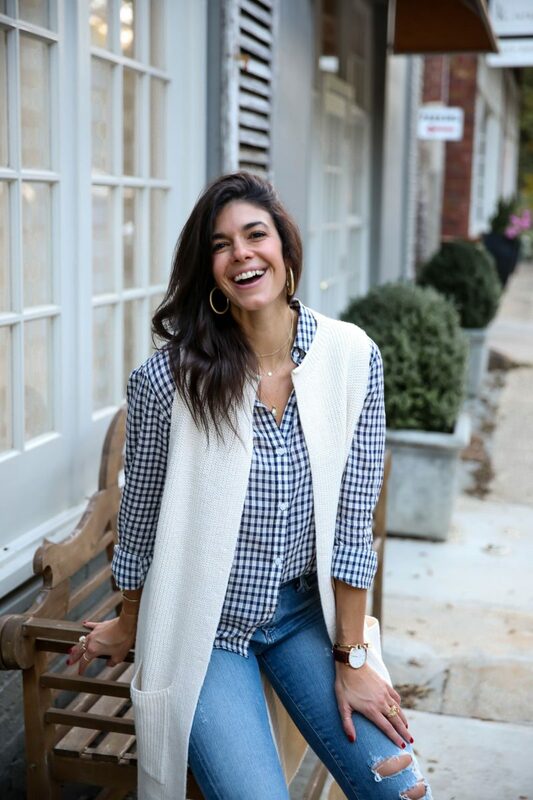 Hope everyone had a wonderful, long Thanksgiving Weekend! I don’t about you guys, but I feel like I could use some cleansing & detoxing after this holiday weekend! 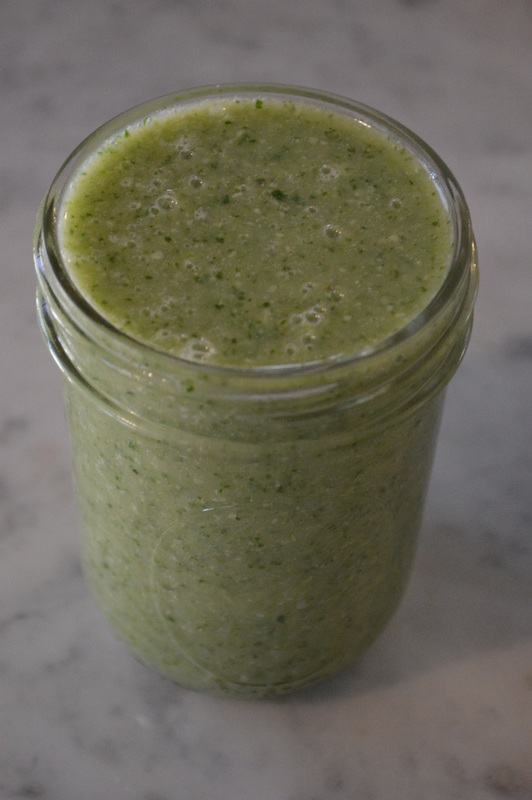 Made this delicious & refreshing smoothie this morning and excited to share with you! – I threw in 2 bananas today because they were both super ripe and I don’t think they were going to last another day! 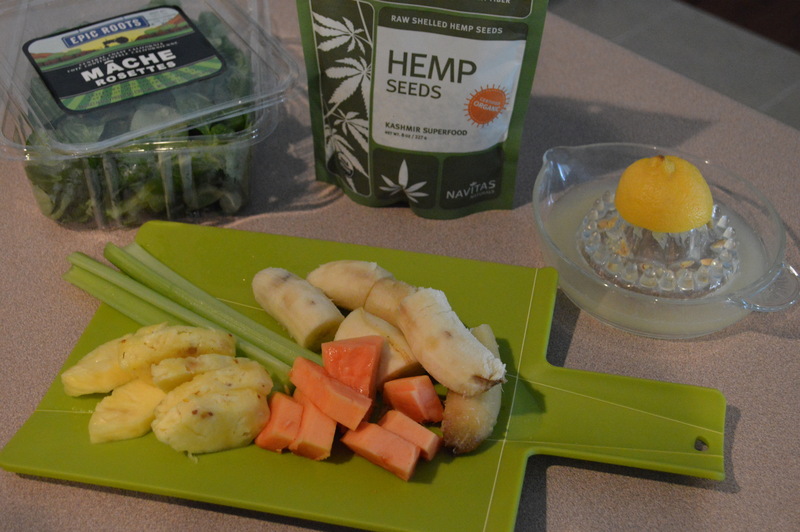 – Hemp Seeds: Trying these out for the first time. I’ve used Hemp Protein before and it was just okay…really gritty & earthy tasting. 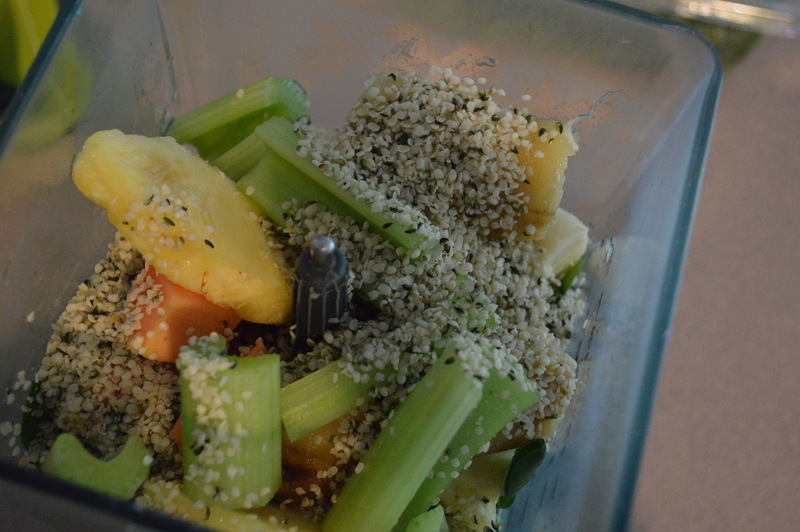 Really loved the Hemp Seeds in this smoothie…blended up super smooth and didn’t alter the taste one bit! – I loaded up on Organic lemons at Earth Fare yesterday — they were on sale 4/$3. Crazy, but this IS a deal for Organic Lemons. They are pretty ripe and got a ton of juice out it! Just throw everything in all at once and blend it up…super simple! 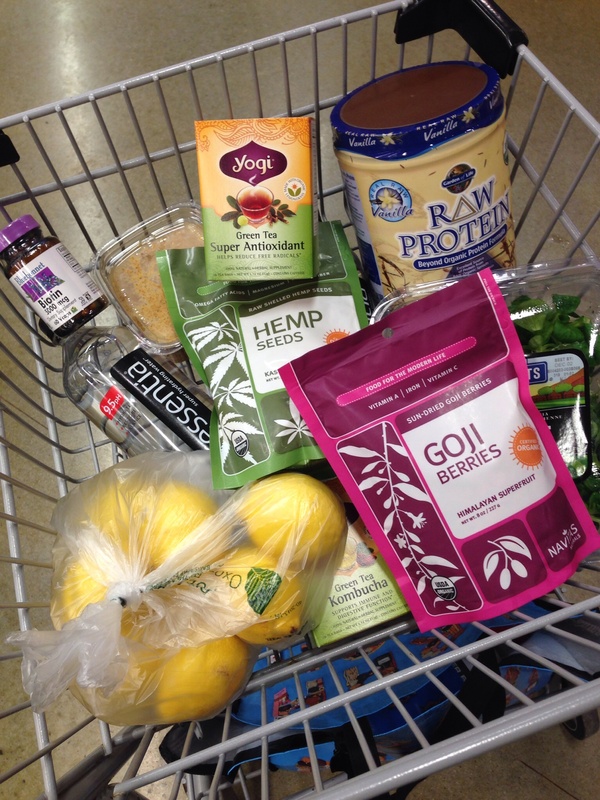 A peak into my shopping cart at Earth Fare yesterday…loaded up on lemons, green tea, water (these bottles at BPA Free & have electrolytes…good stuff), raw almond butter, Goji Berries, Hemp Seeds, Epic Roots – Mâche Rosettes, Biotin & Raw Protein. 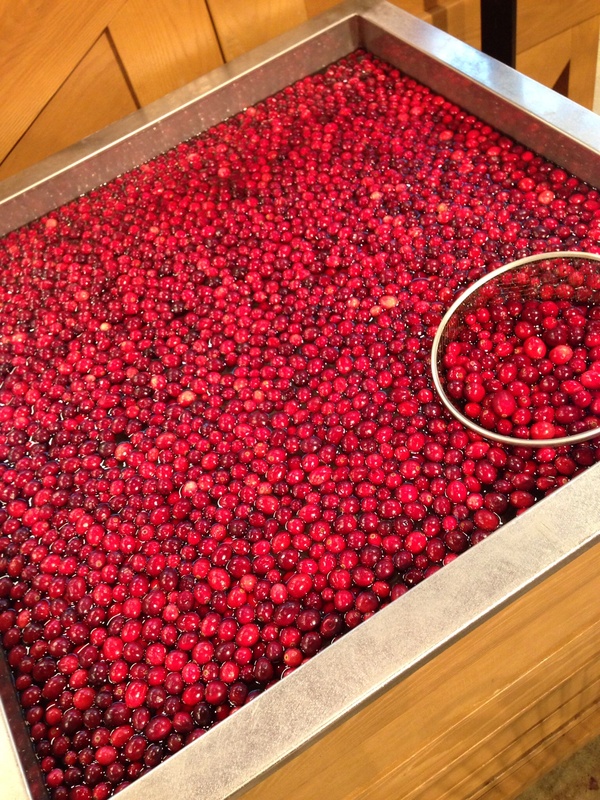 Couldn’t help myself…snapped a pic of these beautiful cranberries in the store! So pretty!